Daniel bought these in Moscow. 78s but the turntables at Saki don’t play 78s. 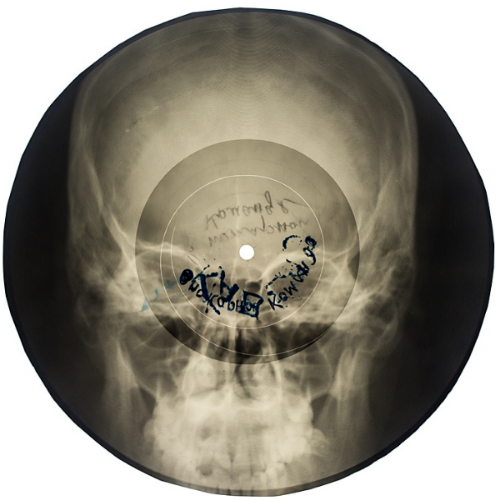 “Cold War Leningrad: In a culture where the recording industry was ruthlessly controlled by the state, music lovers discovered an extraordinary alternative means of reproduction: they repurposed used x-ray film as the base for records of forbidden songs.